Is it OK to Tell Kids to Behave Because Santa is Watching? Should You Tell Kids to Be Good Because Santa is Watching? Although the reminder that Santa “knows when you’ve been sleeping,” and he “knows when you’re awake,” has been used for generations, the spying tactics have changed over the years. If the threat of Santa’s mysterious abilities to watch a child’s every move from afar wasn’t eerie enough, now Santa has scouts who help him keep track of who belongs on the naughty list. The Elf on a Shelf’s constant surveillance serves as a physical reminder to children that Santa will know if they’ve been good or bad this year. There's a good chance you can use Santa to your advantage. During the weeks leading up to Christmas, you might find you're able to keep your kids in line by saying, “You’d better be good because Santa’s watching.” The threat of not getting any presents—or of getting a lump of coal in the stocking—may temporarily set your child straight. And you might find your child needs a few extra reminders to follow the rules during the holidays. The stress and excitement of the holiday season often leads to increased behavior problems. But threatening to take away Christmas might not be a good idea. Although most parents won't actually give their child a lump of coal, the threat alone might backfire in the end. Getting kids motivated to behave for a stranger—versus for you— is an interesting concept. Saying, “Santa wants you to be good,” instead of, “I want you to be good,” makes it sound like your child should care more about Santa’s opinion than your's. Empty threats are never a helpful parenting practice. Nagging your child about his behavior and warning him he won’t get any presents could actually damage your credibility. When Santa delivers presents—regardless of previous misbehavior—your child will assume you have no idea what you’re talking about. Clearly, many kids aren’t concerned with what’s happening tomorrow, nonetheless a few weeks from now. So the threat of not getting presents days or weeks into the future may not be much of a deterrent. The holiday season is often filled with family time, sugary treats, and changes to the usual routines. And while those things can be fun, they can also be stressful for children. That's why increased behavior problems during the holidays are fairly common. 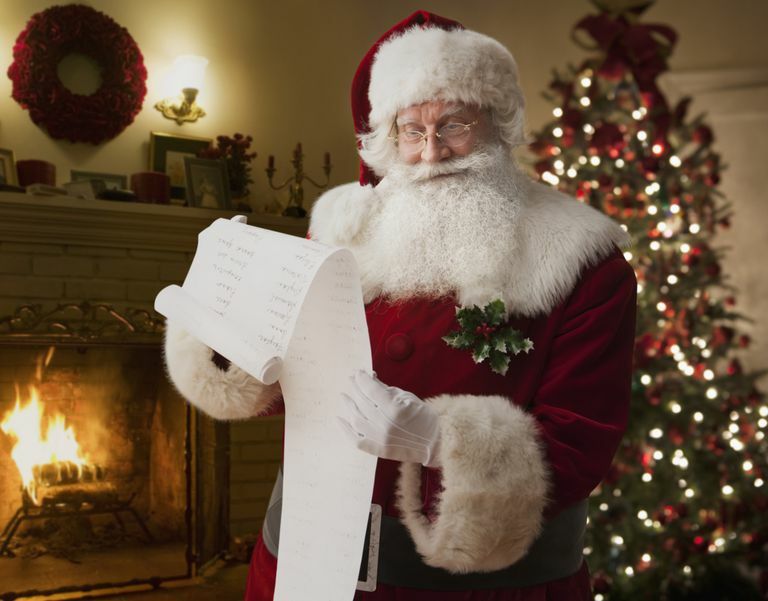 Reminding kids to behave so their names appear on the "nice list" can be all in good fun. But it’s not likely to be an effective long-term solution for managing behavior. Reward systems serve as a great motivator. Set up a sticker chart or a token economy system that allows your child to earn immediate rewards for specific behavior. Positive reinforcement is more effective than threats. Use praise generously to point out good behavior and provide plenty of positive attention. Telling a child he’s on the “naughty list” isn’t likely to do much for his self-worth. Kids behave best when they feel good about themselves. A better message is "Your a good kid who made a bad choice." Use discipline strategies that promote healthy self-esteem. Work on behavior problems all year long. If you’re concerned about your child being “ungrateful” or spoiled, cancelling Christmas one time isn’t likely to change your child’s attitude. Instead, work on fostering gratitude every day of the year in addition to preventing the holidays from being all about the gifts. If you’re going to use the Elf on a Shelf and reminders about the “naughty list,” use it in good fun, not as a main discipline strategy. After all, the holiday season is short and you need to be armed with effective discipline strategies long after the presents have been opened. Focus on teaching your child to behave because it’s the respectful thing to do, not because he won’t get rewarded on Christmas. Nevin JA, Mandell C. Comparing positive and negative reinforcement: A fantasy experiment. Journal of the Experimental Analysis of Behavior. 2017;107(1):34-38.